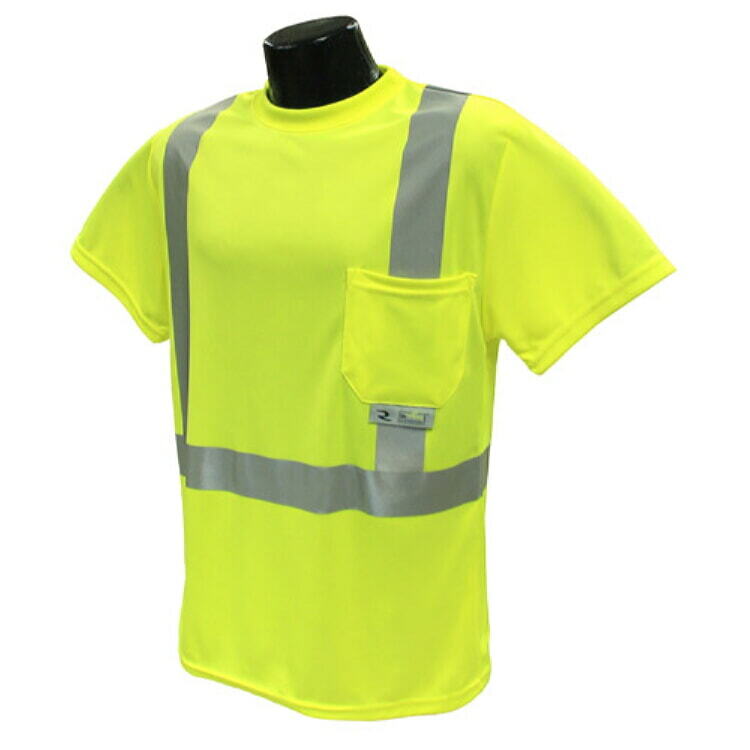 The Radians ST11-2 is an excellent example of a quality hi-viz short sleeve t-shirt with max-dri moisture wicking technology. This technology pulls moisture away from your skin to aid in the evaporation and cooling process to help keep you dry and comfortable in hot conditions. 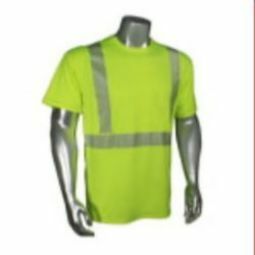 This ANSAI class 2 t-shirt is engineered with a double Birdseye Mesh that maximizes air flow to quickly dry moisture. To enhance visibility the ST11-2 also has a two-inch stretchable reflective tape that is premium heat transferred, which allows for greater comfort and flexibility. 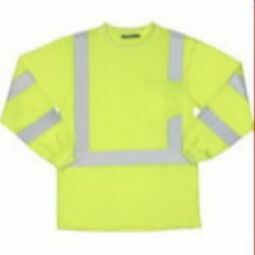 It also has one horizontal reflective strip to further improve visibility in low light conditions. Made from 100% wicking polyester mesh, the ST11-2 also has a pocket on the left chest for storage and access to essential items. 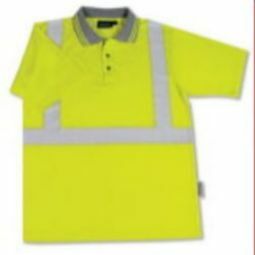 Its available in a variety of sizes up to 5X and comes in hi-viz orange or hi-viz green. 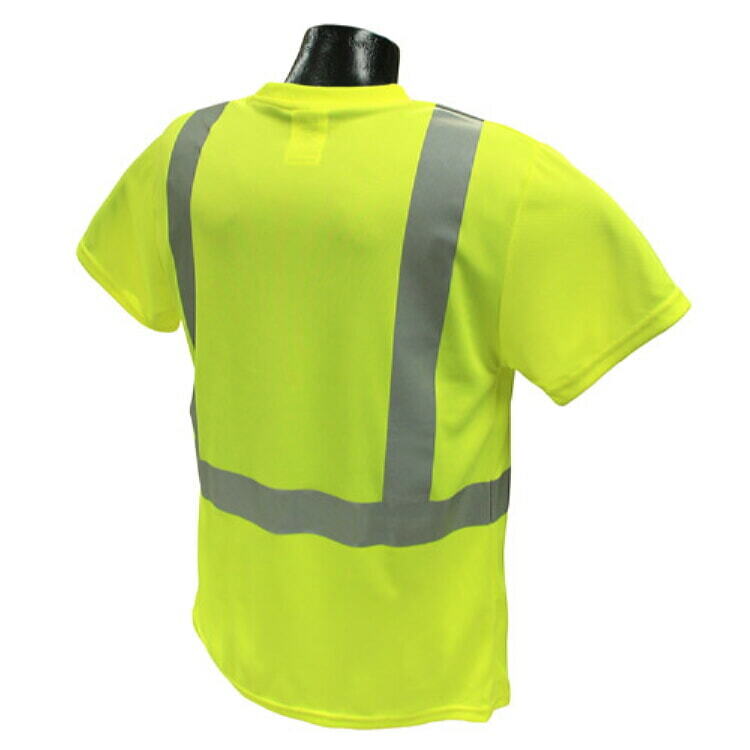 These high visibility t-shirts are also available as non-rated shirts without the reflective tape. 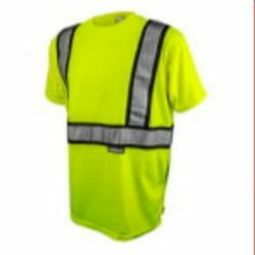 The shirt is really nice, but I am a 128 lb female looking for a safety shirt that fits and this was way to big.